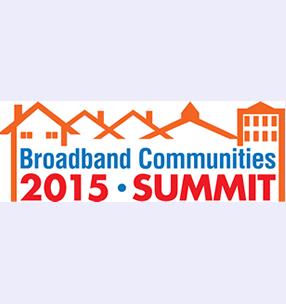 SiFi Networks will exhibit at the Broadband Communities Summit 2015 from the 14th to 16th of April. Its location this year, the Renaissance Hotel in Austin, Texas, will see over 60 exhibitors come together to showcase their products and services. Hosted by Bbc Online Magazine, the summit is the leading conference for broadband technologies for communities. The Summit attracts broadband system operators, network builders and those who deploy networks. Many of the country’s major property owners and real estate developers attend the Summit each year, along with independent telcos and cable companies, municipal and state officials, community leaders and economic development professionals. SiFi Networks will demonstrate their ability to become an economic development platform within cities by building and funding networks which enable the deployment of fiber throughout a community. “We are really looking forward to exhibiting at the show as it is the leading exhibition for the US broadband community.” Commented Sara Pickstock, Marketing and Communications Director for SiFi Networks.